In a conversation earlier today Übel shared a picture of his Mk. 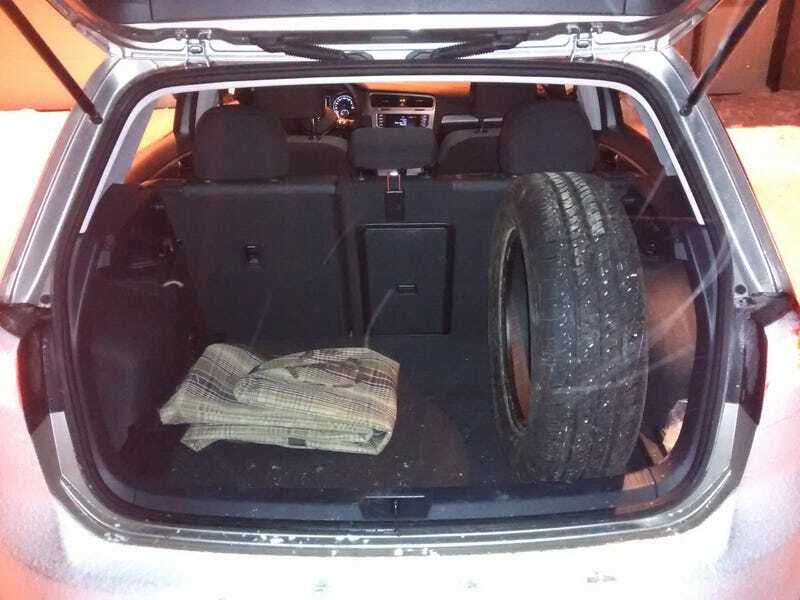 IV GTI with a full set of tires in the trunk with the seats up. This got me wondering if my Mk. VII could do the same. Answer: nope, not quite. I can fit 4 side by side easily, I think, and can close the hatch, barely, but it isn't happy about it. They'd push on the latch as is, if the tires were mounted and inflated I wouldn't have been able to close it. This is probably due to a shift to increase passenger space but still, boo and hiss VW, boo and hiss. Mind you, with the seats folded I could probably fit 2 full sets pretty easily, so I won't complain too much.